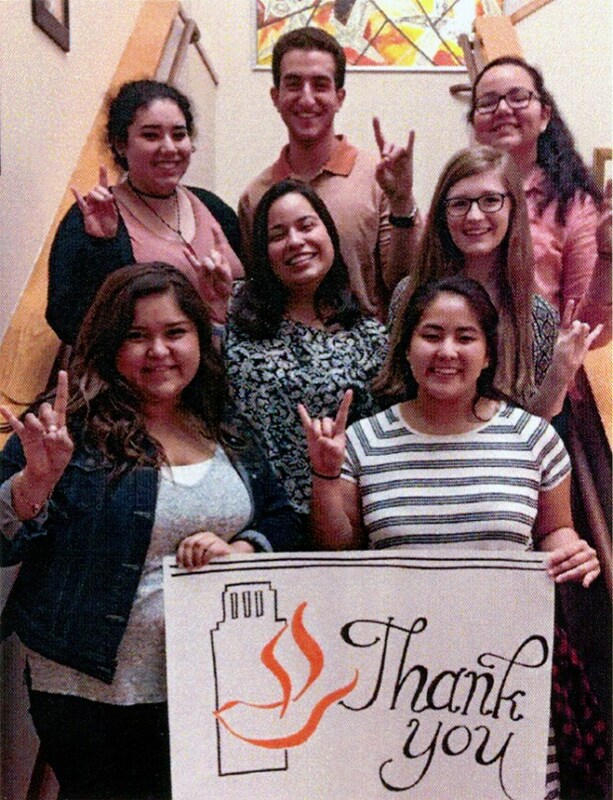 Years ago when I was a student at the University of Texas, the Catholic Student Center provided a great home-away-from home. The Center was a short walk from the dorm and offered a quiet place to reflect between classes. Even better, the Center offered a 10 pm Sunday mass, meaning you could sleep in. This was important to a college student then and remains true today. Today’s student centers do a whole lot more than offer Sunday Mass. Students build on their faith through classes, fundraising activities, mission trips and social events. Here you can prepare to be a future parish leader by honing your skills as a lector, choir member or Eucharistic Minister. And you can hang out with others who share your values. Maybe you could even meet a nice Catholic boy or girl and make your mama happy. I am proud that the Catholic Life leadership supports these centers financially. Our first donation went to St. Mary’s Catholic Center at Texas A & M nearly 20 years ago and we’ve continued our support each year since then. While I’m a firmly a Longhorn fan, I greatly admire the St. Mary’s program. More than 16,000 Catholic students are part of their congregation and St. Mary’s has produced 37 religious vocations in the past four years. This is an awesome feat! The UT program, while not as large as A & M’s, is strong too. But don’t worry; your money doesn’t just go to College Station or Austin. We’ve also given money to Catholic centers at Texas Tech, Baylor, and Texas State. More recently, we’ve helped the newly formed Saint John Paul II University Parish in Denton. Catholic Life member Rev. Kyle Walterscheid leads this Center that serves both the University of North Texas and Texas Woman’s University. We are also excited about the new student center planned for the University of Texas at San Antonio. I encourage you to drop into the student center next time you are on a college campus. I think you’ll find communities alive with faith-filled young people. Previous Previous post: We cannot separate learning from faith. Next Next post: Let us pray with you in your time of need.